NI Economy Minister Simon Hamilton MLA has announced a £1.4million Asda contract for County Down based leisure vending specialist Clearhill. Congratulating the Banbridge company, the Minister said: “Clearhill offers one of the largest ranges of children’s rides, toy carts and photo booths in the UK. 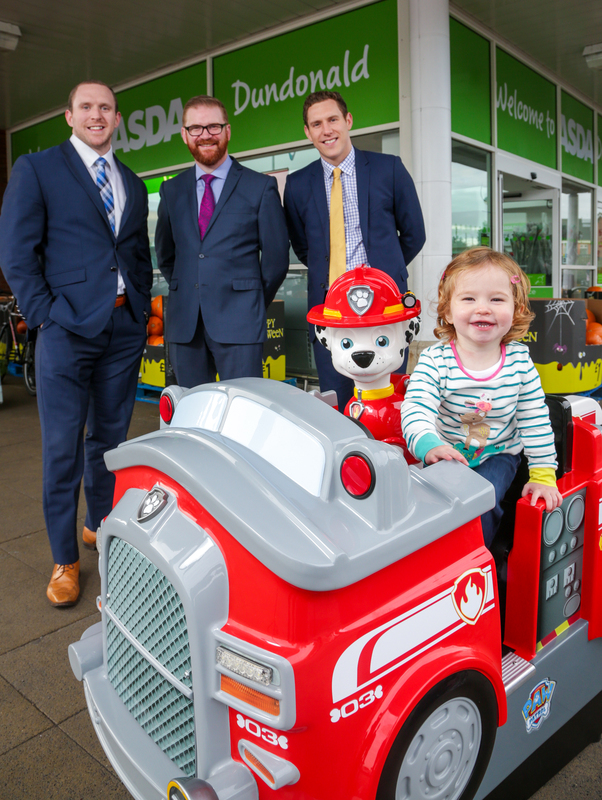 This impressive deal with Asda is the latest contract win for the company this year having already secured over £3million in new business with shopping centre giants Hammerson and ReDefine. This new deal will see Clearhill’s products being installed in over 100 Asda stores, almost one fifth of all Asda supermarkets in the UK. Brian McAreavey, Commercial Director for Clearhill said: “The Asda contract is the latest in a recent run of big successes for Clearhill and is indicative of the scale on which we are operating right now. We have invested in the recruitment of new members of staff across a range of skilled positions and are always growing and improving. “With more than 200 customers hosting over 2,000 pieces of machinery, Clearhill is the industry’s market-leader on the island of Ireland with 76% market share. The company which has been operating for almost 25 years also has a 35% share in the UK market which is still growing. Photo Caption: Economy Minister Simon Hamilton MLA has announced a £1.4m Asda contract for Co. Down based leisure vending specialist, Clearhill. Pictured with the Minister are (l-r): John McAreavey, Financial Director, Clearhill, Brian McAreavey, Commercial Director, Clearhill and Mia Conlan.